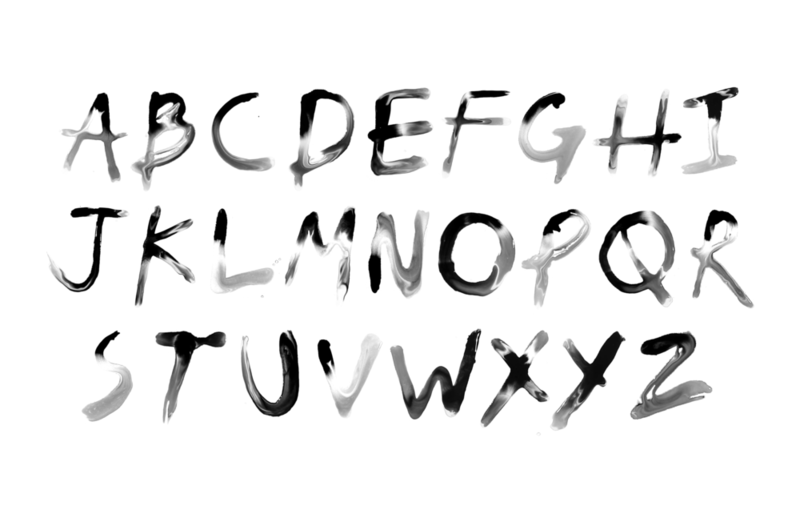 A collaboration with Jitae Kim on typeface created from India Ink and water. We concentrated on the India ink's tendency to spread when coming in contact with water, as it is unique to the material. In addition, we tried to avoid the Asian calligraphy style to strive away from the conventional use of or given materials. Our overall inspiration for the style of the typeface was parallel with the 'flowing' characteristic of the ink on water.